New watercolour workshops for this summer. All workshops are suitable for all abilities. Friendly small groups, lots of teaching attention, lots of cakes! A two day watercolour flower painting workshop, one day in the studio exploring techniques and painting flowers from the garden, one day painting outside among the boarders and hidden corners of our traditional cottage garden. The day has plenty of tea and coffee breaks, with home baked cakes, and a delicious vegetarian lunch. All materials are provided, there will be instruction sheets to keep and the workshop will include time for framing your finished painting. 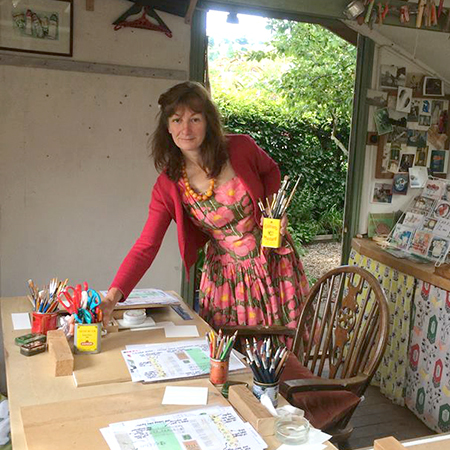 Workshops are held in my studio in the garden, only big enough for four people at a time, so ensuring lots of attention. Getting started with watercolour. Learn some simple techniques for landscapes and still life. Go home with finished pictures and an enthusiasm to paint. Bring a few special small things to paint a watercolour still life on a shelf, create an autobiographical painting or a present for a friend. Cups, spoons, tins and vintage kitchenalia. Combine watercolour with collage for this day of painting small things from the kitchen. I like to offer the experience of a creative treat day, just bring yourself, and all materials are provided, including cake! There will be instruction sheets to keep and the workshop will include time for framing your finished painting. You’ll take home your picture, ready to hang on the wall or give as a special present and, hopefully, the confidence and inspiration to continue to enjoy painting and drawing. 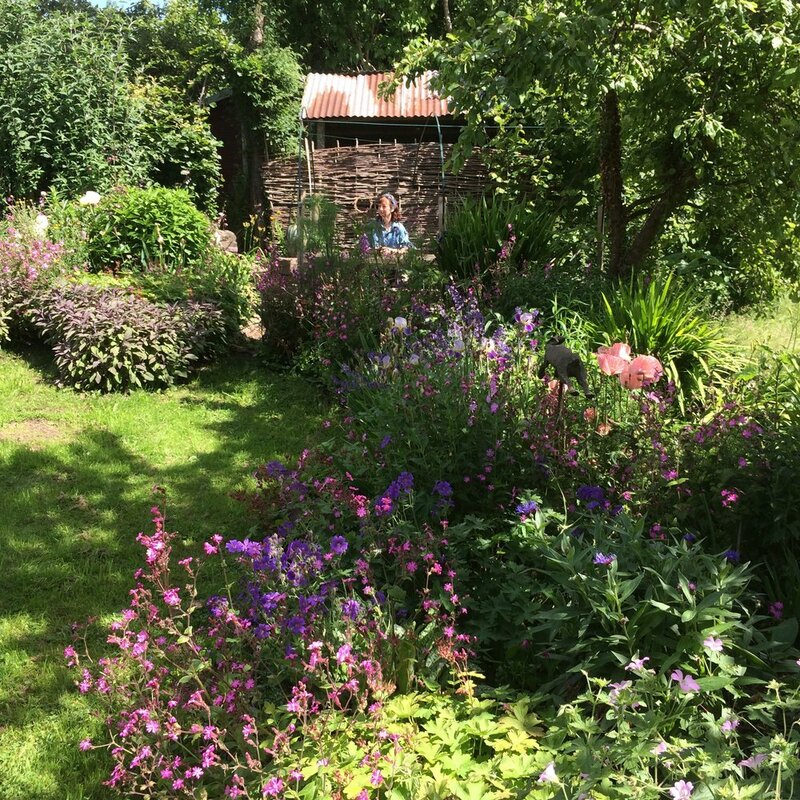 2019 will be the fourth year of Summer Watercolour Workshops here at Golden Valley Cottage in the Forest of Dean. Each summer workshop focuses on a different still life subject, whilst using the same simple watercolour technique, broken down into stages. The workshops are held in my studio in the garden, only big enough for four people at a time, so ensuring lots of attention. The day has plenty of tea and coffee breaks, with home baked cakes, and a delicious vegetarian lunch, including bread from Nigel’s wood fired oven and fresh salad from our own polytunnels. We can cater for gluten free and vegan too. We hope the sun will shine, for lunch in the cottage garden, but on rainy days we’ll retreat to the cosy kitchen. Thanks for such a lovely day on Tuesday. We all really enjoyed it. My family were really impressed with my efforts and were very encouraging. You really simplified everything and made "having a go" seem much easier. Thank you Mariette and Nigel for an absolutely MAGICAL day. I am so proud of my very first ever painting - you are an EXCELLENT tutor. Thank you, Caroline. Watercolour and oil paintings will be for sale shortly.